Until the end of the 17th century, the vast boreal forests of the interior of northern Sweden were exclusively populated by the indigenous Sami. When settlers of Swedish and Finnish ethnicity started to move into the area, colonization was fast. Although there is still a prospering reindeer herding Sami culture in northern Sweden, the old Sami culture that dominated the boreal forest for centuries or even millenia is to a large extent forgotten. Since each forest Sami family formerly had a number of seasonal settlements, the density of settlements must have been high. However, only very few remains are known today. In the field, old Sami settlements can be recognized through the presence of for example stone hearths, storage caches, pits for roasting pine bark, foundations of certain types of huts, reindeer pens, and fences. Researchers of the Forest History section of the Department of Forest Ecology and Management have long been surveying such remains on foot. This, however, is extremely time consuming and can only be done in limited areas. Also, the use of aerial photographs is usually difficult due to dense vegetation. Data from airborne laser scanning should be the best way to find remains of the old forest Sami culture. Previous research has shown the possibilities of using airborne laser scanning data for detecting cultural remains in the boreal forest (Jansson et al., 2009; Koivisto & Laulamaa, 2012; Risbøl et al., 2013), but no studies have aimed at detecting remains of the forest Sami culture. I want to test the possibilities of ALS in this respect. DTM from the Krycklan catchment, showing a row of hunting pits and (larger) a tar pit. The goal of my study is to test the potential of using LiDAR data for detecting cultural and archaeological remains on the ground in a forest area where Sami have been known to dwell during historical times. Since the whole of Sweden is currently being scanned by the National Land Survey, this data will be included. However, the average point density of the national data is only 0,5–1 pulses/m^2. Therefore, the study will be done in an established research area, the Krycklan catchment, where a denser scanning was performed in 2015. The Krycklan data set lacks ground point classification, so I will have to perform such a classification before I can proceed to the creation of a DTM. Having tested various kind of software, I have found that LAStools seems to be the most efficient way to do the job. This, in turn, has made me aware of the importance of choosing the right methods and parameters for doing a classification that is suitable for archaeological purposes. The data was acquired with a multi-spectral airborne LiDAR sensor, the Optech Titan, and a Micro IRS IMU, operated on an aircraft flying at a height of about 1000 m and positioning was post-processed with the TerraPos software for higher accuracy. + The average pulse density is 20 pulse/m^2. + About 7 000 hectares were covered by the scanning. The data is stored in 489 tiles. 2) test the outcomes by comparing it to known terrain to find out the optimal parameters for classifying this particular LiDAR point cloud for archaeological purposes. Jansson, J., Alexander, B. & Söderman, U. 2009. Laserskanning från flyg och fornlämningar i skog. Länsstyrelsen Dalarna (PDF). Koivisto, S. & Laulamaa, V. 2012. Pistepilvessä – Metsien arkeologiset kohteet LiDAR-ilmalaserkeilausaineistoissa. Arkeologipäivät 2012 (PDF). Risbøl, O., Bollandsås, O.M., Nesbakken, A., Ørka, H.O., Næsset, E., Gobakken, T. 2013. Interpreting cultural remains in airborne laser scanning generated digital terrain models: effects of size and shape on detection success rates. Journal of Archaeological Science 40:4688–4700. Director Patryk Kizny shows us – once more – aesthetically pleasing visuals in his latest short “REBIRTH“. Already known for turning high-dynamic range (HDR) imagery captured in historic buildings into a stunning piece of art with his earlier short film “The Chapel“, Patryk returns to the screens with a larger project that integrates both LiDAR and HDR images. His new 14 minute short film can be watched online via this link. Below a few still images from the beautiful movie to make sure you really watch it … (-: … turn on the audio for narration and soundtrack. There used to also be a neat timelapse video about the “scanning of the temple” by EKG Baukultur with a Faro scanner. Archaeologists are increasingly finding ALS/LiDAR useful for making better surveys of archaeological sites and monuments. This is also done where these sites are in danger of being developed, and thus destroyed, see i.e (Risbøl 2011; Gustavsen et al. 2013). Norwegian archaeologists at several county councils and museums have detected unknown sites in woodland or areas previously not surveyed. LiDAR is now available for large areas, as the national mapping authority of Norway, Statens Kartverk, is using this data as a source for generating elevation and contour maps. 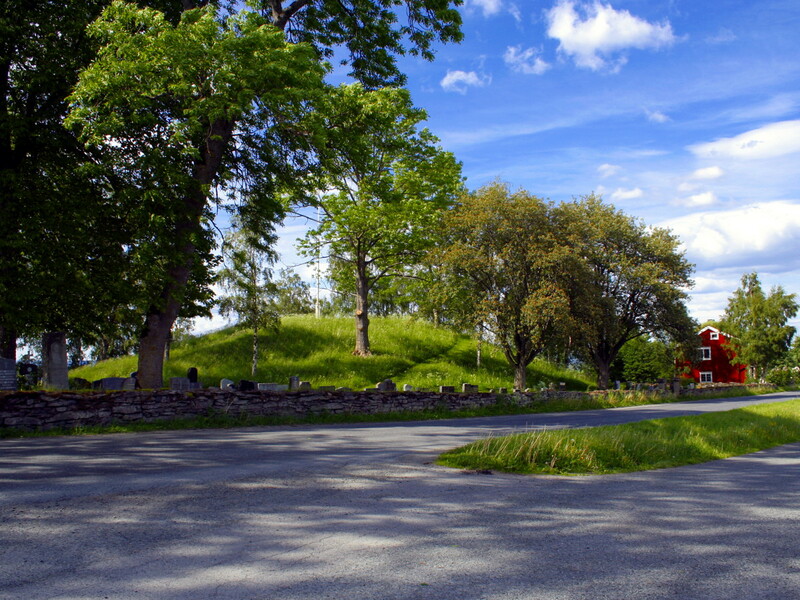 Working in North-Trøndelag county, my colleague Kristin Foosnæs at NTNU and I have embarked on a project to create a survey of the larger burial mounds and burial cairns of the county. North-Trøndelag seems to have an unusual large amount of such mounds larger than 20 meters (462 such are so far identified, far more than in any other county). We have gathered exact survey data for a sample of 2900 mounds/cairns. For these we have the exact polygon describing the area of the mounds. LiDAR and LAStools have been extensively used in the creation of this database. The height of the monuments however could only be gathered from the national monuments and sites database where the heights are stored as text. These were gathered by field surveys in the 1970s to 1990s. Then the only tools available to archaeologists for estimating the height were yardsticks or soil probes. Mapping the sites was done on aerial photos at a scale of 1:16.000. The height data gathered from the database is very variable in quality, which has to do with how they were generated. Mostly those that did the original surveys had to estimate the height of the monuments. The resulting CSV file can be imported to QGIS with the centroid x/y as point location. In QGIS I can then generate a spatial join between the CSV file and the shapefile containing the surveyed mounds/cairns. Then using the field calculator on the table, I can compute the height as a difference of max and min elevation for the each mound/cairn. About 2600 of the 2900 monuments could get their height measured using lascanopy. The results are shown in the three plots. 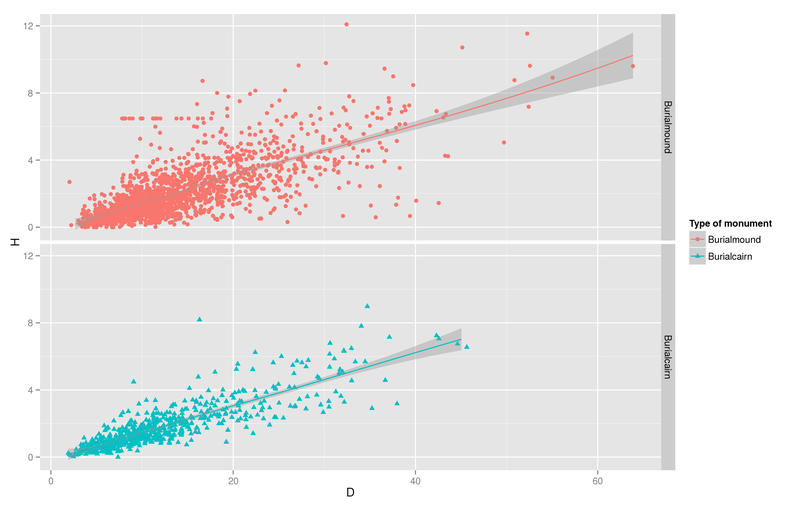 These have been generated in R and ggplot2. The figure below shows the diameter plotted against the height gathered by lascanopy. Height and diameter correspond to a large degree. One marked difference between mounds and cairns is that some of the larger mounds are lower than their expected height. This can have two explanations; one is that mounds are more likely to be affected by cultivation activities (i.e. they were plowed over by farmers) that have reduced their height. Mounds are more likely to be situated close to farms, while cairns are more likely to be sited along the coast or on hills. The above histogram of the diameters of the monuments shows a skewing of the data towards the left. 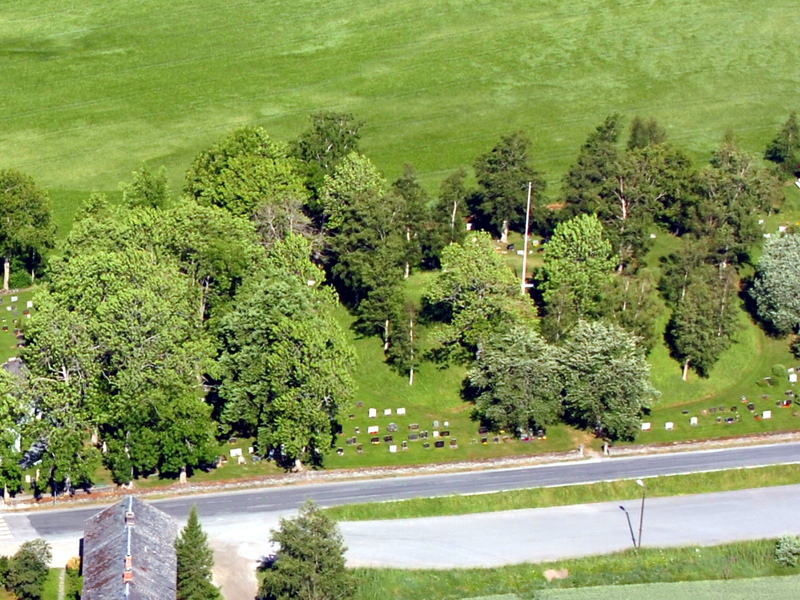 Mounds above 20 m of diameter are considered to be large, while those above 40 m are called “kongshauger” or “Kings mounds”. There are 19 such in North-Trøndelag. A normal – Gaussian – curve is fitted over the histogram. Finally, the above histogram of the heights – as measured by lascanopy – for aproximately 2600 monuments. This shows that the maximum height lies at about 12.5 meters. The histogram of heights is again skewed to the left. The large mounds mostly seems to be above 20 m of diameter and above 4 m of height. Gustavsen, L., Paasche, K. 1964-, & Risbøl, O. 1963. 2013. Arkeologiske undersøkelser: vurdering av nyere avanserte arkeologiske registreringsmetoder. Oslo: Statens vegvesen. Risbøl, O. 1963-. 2011. Flybåren laserskanning til bruk i forskning og til forvaltning av kulturminner og kulturmiljøer: dokumentasjon og overvåking av kulturminner. Oslo: NIKU.